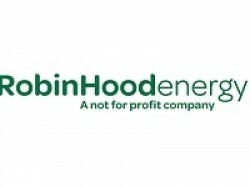 Robin Hood Energy is the UK’s first local authority owned, not for profit energy supplier. We are proud to be a company that prioritises people over profits. Everything we do is driven by the understanding that people need affordable energy enabling them to live in warm, healthy homes. As a company, our mission is to tackle fuel poverty and provide affordable energy to customers across England, Scotland and Wales. Our services include domestic and commercial energy supply as well as offering a range of energy delivery partnerships.